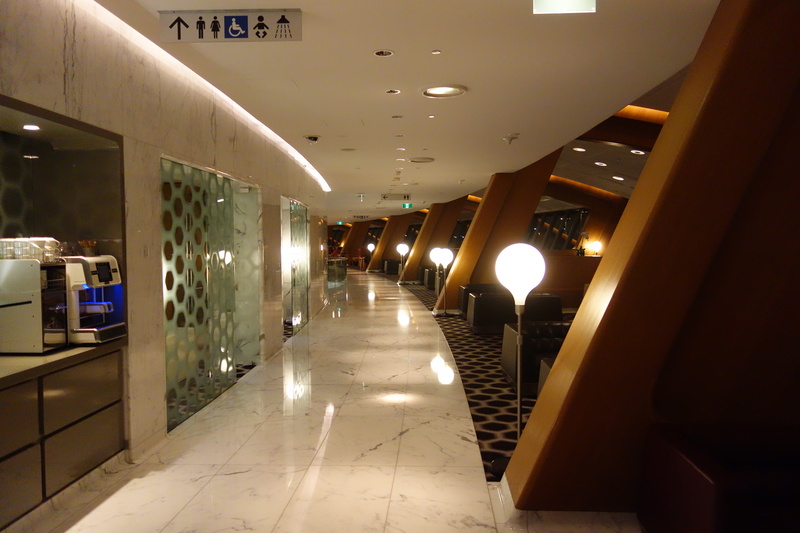 For my trip to Sydney, I decided to stay at the Radisson Blu Plaza Hotel. This hotel has a convenient downtown location that’s within walking distance of a lot of touristy places as well as a number of ferries to get to other touristy places. Since I was visiting in August which is low season for tourism in Australia, I got a pretty nice upgrade to a corner room at the hotel. The room was super spacious and the bathroom ridiculously large. No dice on getting free breakfast, which is probably what I would have preferred given that I was traveling alone and didn’t need the extra space, but I don’t want to sound like I’m complaining about free upgrades. The hotel itself was pretty nice. The onsite restaurant is apparently supposed to be quite good (I did not try it, although I generally ate quite well in Sydney). They have a decently equipped gym as well as a spa and small pool and hot tub. The front desk staff and doormen were friendly. Overall, I have no complaints about my stay, and the location is super, super convenient. I’m just sad that this hotel is no longer such a good deal after all of the Club Carlson devaluations. This entry was posted in Club Carlson, Hotel Reviews, Travel, Trip Reports and tagged club carlson, hotel reviews, sydney, travel, trip report on May 27, 2015 by Edward. It’s been a while since I’ve been to a restaurant and just been like, “wow, this place is good” (off the top of my head, the last place I felt this about was probably Barley Swine in Austin, which I ate at 2 years ago, if that tells you anything). Ester has delicious food, and I think it’s surprisingly affordable in a relatively expensive city like Sydney, so I’m posting about it now just in case anyone has a trip to Sydney in their immediate future since you should definitely go. I made a same-day reservation online for a Wednesday night for a seat at the bar. I’d definitely recommend making reservations, since every seat was reserved the night that I was there (both at the bar and at tables). The restaurant is located within walking distance of Redfern station, so I took the train and walked. On Wednesdays, they do set menus from around the world (menu for August was Sri Lanka), but from talking to the bartender, he recommended that I just order off the a la carte menu and he could figure out some half portions and such to give me a taste of what the restaurant does since the plates are normally meant for sharing. Maybe I just need to ask for it more, but I really wish more restaurants would do half portions so you can try more. First up was brussels sprouts three ways. Brussels sprouts have definitely become a trendy food over the past couple of years, but this was my favorite brussels sprouts dish I’ve eaten. The shredded brussels sprouts were great with a tangy vinaigrette, creaminess from the soft egg, and an appropriate amount of saltiness from the parmesan. You can’t go wrong with the crispy fire-roasted leaves, and the last preparation of roasted brussels sprouts made them so caramelized and sweet that you’d think you were eating candy. This plate was the normal serving for $17. Next was the roasted cauliflower with almond mayo, almonds, and mint. When this dish first came out, I thought for sure it was a full portion since it’s a lot of cauliflower, but my server did confirm that this was in fact a half portion for $8. The cauliflower was roasted beautifully. It was tender without being mushy, retaining a good texture. The mayo provided a slight tang, and the roasting brought out so much of the cauliflower’s natural sweetness. I think cauliflower needs to be the next “it” vegetable. For my final savory dish, I got a half portion of bone marrow ($8.50) with house-made XO sauce. It was served with their house-baked bread, which had a great char, and some salty and peppery and acidic greens, which provided a nice contrast to the gluttony of bone marrow. I think they forgot to salt the bone marrow, but when I added a pinch of salt, it became savory on a whole new level. I normally think bone marrow is a bit of a cop out since it’s so easy to make delicious, but the XO sauce definitely added something else to the dish. I also appreciated the amount of bread they provided, as I often find with dishes like this that I run out of bread. At this point, I was completely stuffed and didn’t really want to keep on eating, but the previous dishes were so amazing that I had to try some dessert, so I got the three milks dessert ($11). It has goat’s milk dulce de leche, cow’s milk ricotta panna cotta, and sheep’s milk yogurt foam, as well as some crushed olive oil cookie and deep-fried rosemary. I loved the tang of the yogurt contrasted with the sweetness of the caramel and the crunch of the cookie to the creaminess of the panna cotta, all with the aroma of rosemary. Good, competent dessert. In total, this meal was $44.50, which I think is already a good deal for the quality of food (and tax and tip are included! ), but what I think is crazy is that I could easily have split that amount of food with another person and both people would have been satisfied. Those half-portions of cauliflower and bone marrow were absolute steals. I honestly contemplated just eating here for the rest of my meals in Sydney since it was so good, and I’ll definitely come back the next time I’m in Sydney. If this restaurant existed in San Francisco, you’d have to make a reservation exactly 2 months in advance and the prices would be doubled and it’d still be worth it. So go. This entry was posted in Dining, Travel, Trip Reports and tagged dining, ester, restaurant review, sydney, travel on August 31, 2014 by Edward.